On Thursday, I went up to Japan Cat Network‘s Inawashiro shelter. 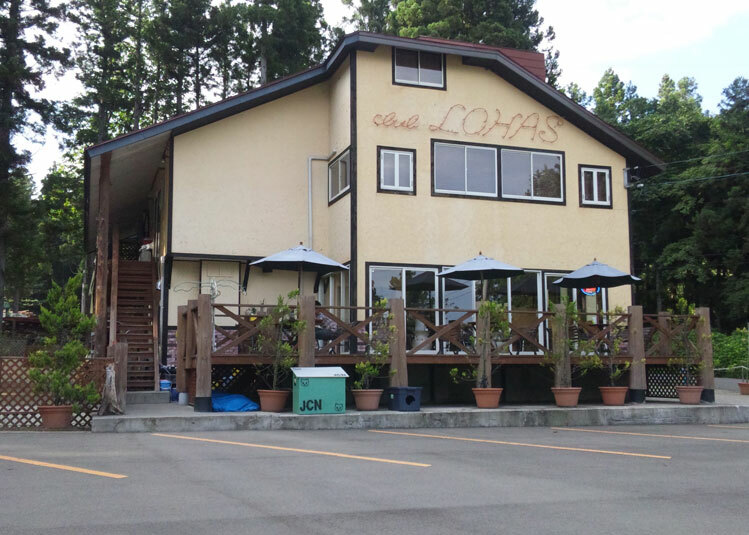 The shelter is located in a building called “Club Lohas” that is actually a dog cafe and a guest house. Inawashiro is a beautiful resort town in northern Fukushima. Lake Inawashiro, famous for its glassy surface and the swans that come to the lake every year, is at the foot of Mt. Bandai, a popular ski destination at the entrance to Tohoku. The work that the shelter is doing is very important, as they are providing an invaluable service to the people who had to evacuate due to the nuclear crisis. While the initial shock of the triple disasters is over, this kind of support is going to remain necessary for a long time. 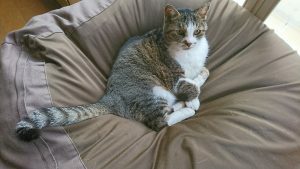 Also, Susan is dedicated to the idea of implementing a trap-neuter-return (TNR) program in Fukushima to help keep the unwanted pet population in check over the long term. The shelter can operate on about 200,000 yen per month (at a minimum). That includes the rent that they pay to Club Lohas, gas for the two trips into the exclusion zone per week, and a few supplies. 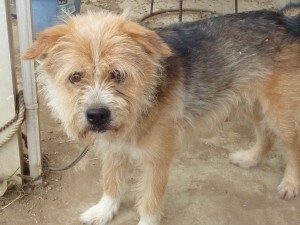 They also receive donations of pet food and some medical supplies. Susan, who runs the shelter, manages to accomplish incredible things on a “barely qualifiying as shoestring” budget. She uses, reuses, and then recycles everything she can get her hands on and has a policy of never throwing anything out that still has a bit of life in it. 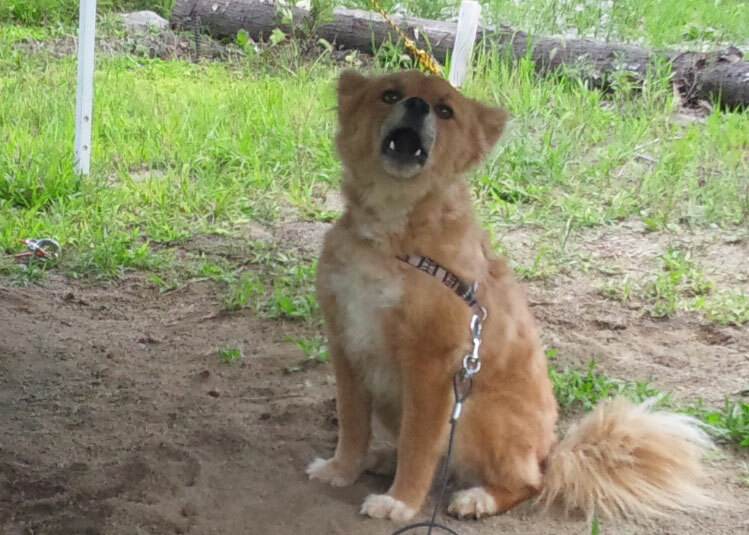 She and Takumi, the other full-time volunteer, work at the shelter with no compensation. They are surviving on food that was donated by some people at the army bases. These volunteers have dedicated their lives to a very important cause and I am confident in recommending their shelter as a very worthy recipient of any charity you can bring yourself to give. Everything you donate — food, supplies, money — will be put to very good, efficient, and productive use. No padding, no money wasted on vague “administrative costs”, no frills. And if you can donate some time to help out, on the weekends or during the week, even better. 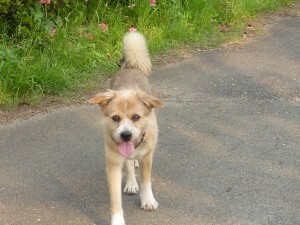 Dogs need walking, litter boxes need cleaning, and Susan and Takumi need to be supported and encouraged! Susan is working on setting up a schedule that can be put on the JCN website to let people know when volunteers are most needed — but basically volunteers are always needed! One of the guest rooms is available to volunteers for 2000 yen per night (which goes to the owner of the building and further serves to keep good relations with the owner). The Inawashiro area is beautiful, so you can make a weekend of it by spending some time helping out at the shelter and then going out and seeing the sights of Inawashiro (and hopefully spending some of your “tourist yen” in the area to help it recover). I have only good things to say about this shelter and about Susan and Takumi and the work they are doing. I would like to encourage you to support them in any way that you can, and to keep them in your mind as they continue the important work of supporting the people of Fukushima and their pets. 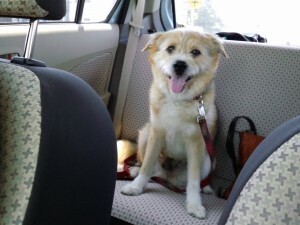 This entry was posted in Pets, Volunteering on August 18, 2012 by Shaney. During the summer of 2010, my neighbours moved out. Three days after they left, their dog was still at the house. (This is a picture of him when I found him. Note the very short leash.) I asked around the neighbourhood and no one seemed to know what was going on. As I was going out of town the next day, I asked one of my other neighbours to look after him while I was away. During the time that I was gone, the dog’s owners came and picked him up. Fast forward six months to early December 2010. When I left my house to go to work one December morning, I noticed a dog that looked an awful lot like the same dog sleeping in the former neighbour’s yard. Since I had taken some pictures of him in the summer, I compared him to the pictures and, sure enough, it was the same dog. I called the real estate agent to get in touch with my former neighbours, and after a great deal of time, I finally found out that they had asked someone to look after the dog, but that it had run away and returned to its former home. I’m not sure whether that story is true or not, but it is clear that they didn’t have any intention of looking after the dog anymore. They had moved to an apartment building and there was no way for them to keep the dog. They offered to take him to the pound (which would mean that he would die within one week), but I refused to let that happen. So, now I am the proud owner of my former neighbour’s dog, whose name was Fugu (but who was renamed “Richard The Lionheart” soon after he adopted me). When I checked his records at the city hall, I was told that my neighbours had registered their ownership of a dog named Fugu who was born in 1999. They also said that the dog was a Shih Tzu (which Richard is not), but I assumed that was a clerical error. I also asked some of my current neighbours and they agreed that Richard had been around for a long time, so I just assumed that he was around 11 years old. When I took him to the vet, I was told that he had heartworm and that there was nothing that could be done about it. I figured that he was old and sick and probably wouldn’t last out the year. During the summer months, I gave him heartworm prevention medicine, but other than that I didn’t treat his sickness. I had to bring Koi, my cat, to the vet last night for her shots, so I thought I would bring Richard along for a second opinion. His coughing was getting really bad and I had run out of the preventative medicine, so I thought I would give it a shot. (I brought Richard to the closest vet to my house originally, but Koi has been going to a vet in Ninomiya since before I moved to this new place, so her vet is different.) My cat’s vet took one look at Richard and said that there was no way he was 11 years old. She thought maybe he was more like 7 or 8 years old. She also said that there was a treatment for heartworm, but that it was expensive, so I had to decide if I could pay for it. He would need an x-ray, ultrasound, and a blood test to figure out the best treatment. If he is determined to be a good candidate for treatment, he would have to take three different pills for about two years. One of the pills will hopefully kill the worms and the other two pills will protect his organs so that he can live long enough for the other pill to work. I don’t know all of the details of the costs, but there is no way I want Richard to suffer if he doesn’t have to. It is heartbreaking to watch him cough. When I told my friends about this development, they told me to figure out a way for them to donate towards Richard’s medical fees so that he could get the treatment he needs. I am a bit embarrassed to ask for money for this, but it certainly will help me out. I will keep track of his medical bills and if the amount I receive is more than his bills cost me, I will donate the extra to Japan Earthquake Animal Rescue and Support, which is a group that is doing amazing work up north in the tsunami- and radiation-affected areas of Japan. Here is a ChipIn widget that you can use to donate towards Richard’s medical bills. I’ve never done this before, so I’m not sure if it is going to work smoothly. Fingers crossed! 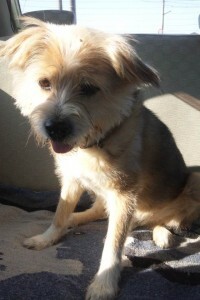 This entry was posted in Pets on December 2, 2011 by Shaney. 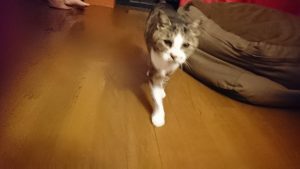 There is a cat rescue group called Japan Cat Network in Shiga Prefecture and it is run by an American couple, David and Susan Wybenga. They are really doing amazing work in trying to decrease the stray cat population, find new homes for animals that get abandoned, and educate the public about animal welfare. They use “trap, neuter, release” techniques to try to decrease the stray population and they run a shelter in their own home for the ones who are able to be re-homed. I have been to their house and met both of them and I can vouch for the fact that they are doing good work and are not making any kind of profit off of their organization. I have never met such a dedicated team. They are currently trying to raise money to buy more cat food for the winter months. They are running a sponsorship drive, but they are also accepting donations of cat food and money to be put towards cat food. The details of their current drive are here. Their main website is here. And you can find information about other ways you can help here. If you like to donate money at this time of the year and you are looking for a worthy cause, I would recommend Japan Cat Network as a good recipient of your charity. I guarantee they will put your money to good use. This entry was posted in Pets on December 2, 2010 by Shaney.